“Interpenetrated peoples” with a right to self-determination? “I believe Gerald Joseph Downing, Socialist Fight, disagrees with the “interpenetrated peoples” theory.” I looked up the relevant sections of the BT/LTT Fusion Document of Spring 1987. It is section 5. The National Question and ‘Interpenetrated Peoples’. I had read this document years ago but I was even more appalled at it now than I was then. Of course the “interpenetrated peoples” is a product of the imaginings of Jim Robertson, the guru of the Sparts but every other member of the ‘family’, the IBT and the International Group/LFI, are obliged to defend whatever nonsense he wrote before they actually split from what they imagine as the golden thread of Trotskyist continuity to preserve it whole. 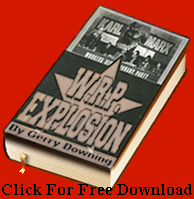 The bogus theory, with no precedent in the writings of the great pioneers of Marxism, Marx, Engels, Lenin or Trotsky, was evolved to explain what was happening in the north of Ireland in the late 1960s and from there served to justify the pro-imperialist line that the Sparts inherited from the degenerating Forth International in 1948 and from Max Shachtman himself, Robertson’s teachers. Before we look at the baneful record of this theory in Ireland and Israel let us make some reassertion of the Marxist position on the self-determination of nations. ‘‘Marxism cannot be reconciled with nationalism, be it even of the ‘most just’, ‘purest’, most refined and civilised brand. In place of all forms of nationalism Marxism advances internationalism….’’ —V.I. Lenin, ‘‘Critical Remarks on the National Question’’ (1913). Of course, we are all aware of Lenin’s last struggle against Stalin on this very question. 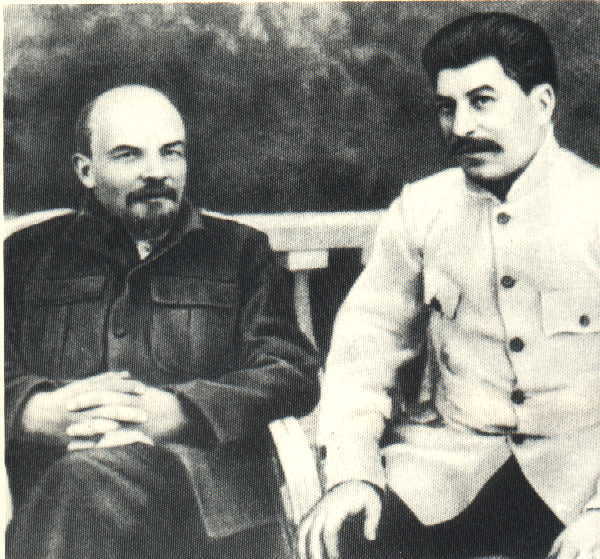 In their treatment of the Georgian communists, he correctly accused both Stalin and Dzerzhinsky of ‘Great Russian Chauvinism’. As we can see the notion that the problem was two nationalities or peoples who had got mixed up together was absolutely alien to Lenin’s way of thinking and his contempt for Stalin’s attitude is essentially contempt for that notion. And the failure to identify the class forces operating in so-called ‘communalist’ conflicts is a constant Spart fall back third camp position to avoid taking anti-imperialist sides. We always look for the oppressor and the oppressed and those who are serving as the proxy agents on imperialism and those who are their victims and fight back in anti-imperialist struggles. I had forgotten how truly appalling and chauvinist their position on Ireland was as set out in the Theses on Ireland (1977). What follows is part of the article Cultural Imperialism, Ireland, Workers Power and the Sparts in Socialist Fight No 9. Summer 2012. I read it (the Theses on Ireland) last about 1986 and I am not sure I got to the end of it then. Every second sentence contains a direct lie or an outright political distortion. It lies that the conflict in the north of Ireland was and is a religious one. It insists on referring to Catholics and Protestants throughout as if these backward Irish could not get over their stupid religious differences. I remember back in 1969 Bernadette Devlin attacked the backwardness of this line of Imperialist propaganda; it was about imperialist oppression, not religious differences she correctly pointed out. The document is full of patronising racism, “In the absence of any significant section of the Irish working class historically freed from national/communal insecurity”. In other words why are these thick Paddys so worried about the murderous assaults of the RUC and B Specials? They are just suffering from some deep-seated and irrational psychological “national/communal insecurity”. Then follows their reactionary theory of “inter-penetrated peoples” which is how they avoid defending both the Irish nationalists and the Palestinians against murderous assaults. Ah no, they say, they are entitled to defend themselves (thank you very much!) but they can only do this via workers’ militias which must contain a member of the opposing community to make sure it is not “nationalist”. The Loyalist would, of course, immediately shoot the unfortunate foolish ‘taig’ who volunteered to join the Red Hand gang to make sure it was not ‘sectarian’. Where do you start? Amongst the “Protestants of Northern Ireland” (must use the official name of the British Imperialist-imposed state) there are fascist gangs who emerge in times of revolutionary upsurge. These are then taken by our chauvinists as the legitimate representatives of the entire Protestant community and so must be appeased. We say no, the fascists must be defeated, separated out from the mass of the Protestant working class and not appeased ideologically or politically like this. This is just garbage. What use is self-determination if it does not entail some form of economic independence to oppose the penetration of imperialist finance capital to super-exploit that nation? That struggle for self-determination must be, “most significant from the angle of the revolutionary struggle against Imperialism.” In other words, imperialist-sponsored ‘national liberations movements’ like the Kosovan KLA, the Tibetan Dali Lama or the World Uyghur Congress are directly opposed to the interests of the international working class and cannot be supported at all. Only nations have the right to self-determination. Imperialist enclaves like the Malvinas kelpers, the Gibraltarian British, the Algerian colons and the Loyalists in the north of Ireland do not have the right to ‘self-determination’, they have no right to claim privileges and territory on behalf of their imperialist masters. ‘Ulster’ is not a nation and has no right to self-determination and the Loyalists have no right to prevent the re-unification of Ireland on any basis. Talk of ‘opposition to the capitalist re-unification of Ireland’ is to oppose the demand in its entirety on behalf of British Imperialism because the right to self-determination is a democratic right under capitalism and that is why Marxists advance it. “Though not yet (!!) a nation, the Protestants are certainly not a part of the Irish nation and are distinct from the Scottish and English nations. Presently their separate existence is defined in large part as against the Irish Catholic nation and at the ideological level is expressed in religious terms. With their own social and cultural fabric (epitomised in the Orange Order) and history of opposition to the Irish nationalist cause, they have therefore acted as the ‘loyalist’ allies of British Imperialism…In all likelihood, a definite resolution of the exact character of the Ulster Protestant community will be reached with the withdrawal of the British army and will depend on the circumstances surrounding this. They are almost a nation, it seems, so self-determination is theirs. That they might be a colonial people like the French colons were who will either have to accept being a minority nationality in a re-unified nation, a socialist republic for Marxists or a ‘democratic republic’ for nationalists. Marxists say the ‘democratic republic’ is an illusion but we cannot either rule it out or oppose it politically if it comes into being as part of the struggle. To proclaim that there can be no ‘capitalist united Ireland’ is abjectly to capitulate to these fascistic elements. It is to renounce revolution in general in the name of wanting a pure one. And where does the Loyalist ‘superior economic strength’ come from? Discrimination is the obvious answer. And why are they ‘more determined’? Because they have the state forces and the British army to back them up, obviously. Stout, brave Protestants, as opposed to the cowardly ‘Catholics’, is the implication, here. And Spart leader James Robertson comes from stout US WASP stock. Anyone with the most rudimentary knowledge of Irish history can tell you that the ‘the mobilisation of the peasantry by Catholic priests’ fought with the United Irishmen, not with the British. This is an ignorant attempt to transpose the situation of the French monarchist counterrevolution peasantry in the Vendée war (1793 to 1796) to Ireland, where the monarch was head of a foreign occupying army imposing the Protestant religion on them. He was thus despised by the peasantry. Those mobilised by the British were typically the Catholic underlings of the aristocracy, Squireens, and Buckeens, the lower middle-class landlords, like Daniel O’Connell, who later posed as the Great Liberator. These were gathered in militias like the North Corks, who flew the Orange standard, brutally ‘pacified’ Ulster (the Presbyterian Republicans), and were credited with the invention of the pitch-cap torture and half-hanging. The Catholic Bishops naturally sided with the British but the lower orders of the clergy, like Fr. John Murphy in Wexford, who was pro-British before the uprising, led his parishioners with the call to “die like men defending themselves, rather than to fall with folded arms under the enemy’s sword”. He was horribly murdered by the redcoats, one of 20,000 who were slaughtered in those two short autumnal weeks in north Country Wexford in the reaction that was far worse than revolutionary France’s entirely necessary ‘reign of terror’ (30,000 in six years). Oh what about the Palestinians FFS? How could you take a neutral position on the Al-Nakba: the Palestinian Catastrophe 1948? Almost 80 percent of the Arab inhabitants of what became Israel left or were expelled from their homes. Figures in excess of 800,000 have been quoted, their exclusion planned in detail beforehand and mass murder perpetrated against them just to encourage them on their way. The Deir Yassin massacre on April 9, 1948 was carried out by 120 of the Irgun and Lehi neo-fascist paramilitaries. The massacre of the 200 of the inhabitants included women and children, some of whom were paraded through the streets of West Jerusalem before being shot, while others died when hand grenades were thrown into their homes. The Israeli state still refuses to open the archives to reveal what happened. This is where the “interpenetrated peoples” gets you. He argues cogently that in 1949 the Arab armies were forced to attack Israel because of the huge uprising of the Arab masses in sympathy with the dreadful fate being imposed on the Palestinians. That it is fundamentally wrong to equate the two sides by saying that British and US imperialism was supporting the Arabs and not the Jewish immigrants. In fact, the position of imperialism was undergoing a change from support for the Arab feudalist leaders to Israel. Without the support of the US, Britain and the USSR, Eastern Europe and Czechoslovakia in guns, money and unrestricted immigration, on Stalin’s orders, the state of Israel could not have been founded. The USSR was the first to recognise the state of Israel whilst the Palestinians were fleeing for their lives from guns supplied by the ‘Communist’ government in Czechoslovakia. The influx of some 200,000 Jews from the Soviet bloc was the decisive event in securing the imperialist bridgehead. Yossi argues strongly that Israel immigration into Israel should have been opposed, that the Palestinians should have been given 100% support and that Israel had and has no right to self-determination because it could only be exercised at the expense of the Palestinians. Hence the “interpenetrated peoples” position is wrong as is the bi-national state theory. And we would claim, a strong defence of the need for the principled operation of the Anti-Imperialist United Front; critical support for the Arab armies and the Palestinian leadership in the wars of 1948, 1967 and 1973. We would claim that the “interpenetrated peoples” line id simply left Shachtmanism, a rationalism of the centrist line that the Fourth International as a whole fell into in 1948 as outlined by Yossi. And that the South African Workers Party (WPSA) were fundamentally correct against Tony Cliff and the Palestinian RCL and the Fourth International, in general, had collapsed into centrism. The betrayal of the 1952 Bolivian Revolution with only the small Us West Coast Venn-Ryan tendency objecting to this was the next appalling consequence of this collapse. Marxism and nationalism are two fundamentally counterposed world views. We uphold the principle of the equality of nations, and oppose any privileges for any nation. At the same time Marxists reject all forms of nationalist ideology and, in Lenin’s words, welcome ‘‘every kind of assimilation of nations, except that founded on force and privilege.’’ The Leninist program on the national question is primarily a negative one designed to take the national question off the agenda and undercut the appeal of petty-bourgeois nationalists, in order to more starkly pose the class question. In ‘‘classic’’ cases of national oppression (e.g., Quebec), we champion the right of self-determination, without necessarily advocating its exercise. In the more complex cases of two peoples interspersed, or ‘‘interpenetrated,’’ throughout a single geographical territory (Cyprus, Northern Ireland, Palestine/Israel), the abstract right of each to self-determination cannot be realized equitably within the framework of capitalist property relations. Yet in none of these cases can the oppressor people be equated with the whites in South Africa or the French colons in Algeria; i.e., a privileged settler-caste/labor aristocracy dependent on the super-exploitation of indigenous labor to maintain a standard of living qualitatively higher than the oppressed population. Both the Irish Protestants and the Hebrew-speaking population of Israel are class-differentiated peoples. Each has a bourgeoisie, a petty bourgeoisie and a working class. Unlike guilty middle-class moralists, Leninists do not simply endorse the nationalism of the oppressed (or the petty-bourgeois political formations which espouse it). To do so simultaneously forecloses the possibility of exploiting the real class contradictions in the ranks of the oppressor people and cements the hold of the nationalists over the oppressed. The proletarians of the ascendant people can never be won to a nationalist perspective of simply inverting the current unequal relationship. A significant section of them can be won to an anti-sectarian class-against-class perspective because it is in their objective interests. The logic of capitulation to petty-bourgeois nationalism led much of the left to uncritically support the Arab rulers (the embodiment of the so-called ‘‘Arab Revolution’’) against the Israelis in the wars of 1948, 1956, 1967 and 1973. However, a defeat for the Israeli state in the region would have been a great blow to imperialism’s proxy in the region and we should have advocated that. The working class had a side in all these wars, for instance with Nasser against the attempts of French and British imperialism (aided by the Israelis) to reappropriate the recently nationalized Suez Canal. While opposing nationalism as a matter of principle, Leninists are not neutral in conflicts between the oppressed people and the oppressor state apparatus. In Northern Ireland, we demand the immediate and unconditional withdrawal of British troops and we defend the blows struck by the Irish Republican Army at such imperialist targets as the Royal Ulster Constabulary, the British Army or the hotel full of Conservative cabinet ministers at Brighton. Similarly, we militarily side with the Palestinian Liberation Organization against the forces of the Israeli state. In no case do we defend terrorist acts directed at civilian populations? This, despite the fact that the criminal terrorism of the Zionist state against the Palestinians, like that of the British army and their Protestant allies against the Catholics of Northern Ireland, is many times greater than the acts of communal terror by the oppressed. 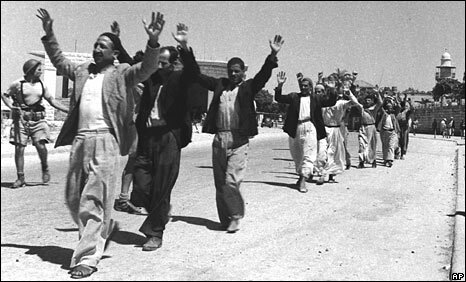 Palestinians during the surrender of the town of Ramle, in May 1948, The foundation of the State if Israel was a victory for imperialism against the Arab masses and the prospect for world revolution. Those, like the Shachtmanites who supported this, and those who took a neutral stance on this a traitors to the cause of revolutionary socialism and/or are profoundly wrong. The Spart’s position on Ireland is the Theses on Ireland, Spartacist no 24, Autumn 1977 http://www.workersrepublic.org/Pages/Ireland/Trotskyism/thesesonireland2.html. V. I. Lenin, The Revolutionary Proletariat and the Right of Nations to Self-Determination, October 1915, http://www.marxists.org/archive/lenin/works/1915/oct/16.htm. I partly agree with this, but consider it one-sided. The concept of interpenetrated peoples has validity when the peoples who interpenetrate are more or less equal in terms of economic development and power in a regional or international context, but it should not be applied to settler populations sponsored by modern capitalist imperialism. Such settler populations necessarily oppress subject populations with the power of imperialism at their disposal, and the national rights of the subject population therefore override their so-called ‘rights’. This is very clear with Israeli Jews. It is true, but slightly less obvious with the loyalist population in the North East of Ireland. And of course it is and was true with the South African Whites, which is the example that the Sparts don’t like to cite, though Roberston wobbled on even this. All of these peoples constitute(d) formations whose very cohesion is or was linked inextrictably with the suppression and/or dispossession of the native population, and could therefore never exercise any ‘self-determination’ without oppressing that same native population. The idea that the oppressor has equal rights with the oppressed over territory or means of life taken by force from the oppressed, is indeed scandalous, and contrary to the best democratic impulses of Marxism. It is partly true that the Spartacists’ positions on the Middle East and Ireland are left-Shachtmanite. But the concept of interpenetrated peoples itself cannot be simply equated with this. In formal terms, the current positions of the Spartacists and IBT are similar not to Shachtmanism, but to the position of the US SWP and indeed the Fourth International itself, on the 1948 Israeli war (Naqba). A position of defeatism on both sides. This was a totally wrong position, to be sure, but it was hardly Shachtmanite. The Shachtmanite position was one of support for the Israeli side, which was a much worse, openly anti-Arab chauvinist position. The Spartacists initially broke with this position over the 1967 war, when they took a defeat of both sides position. But they did not retrospectively change their position on 1948 until 1973, with the publication of Yossi Rad’s articles on the ‘Birth of the Zionist state’, which advocated a defeatism on both sides position on that conflict also. It is difficult to equate this position with Shachtmanism, because the actual Shachtmanites did not hold this position, whereas other, ‘orthodox’ Trotskyist forces such as Cannon’s US SWP (in 1948) and the French Lambertistes (in 1967) did hold it. The position was still wrong, and amounted to neutrality between the oppressor and the oppressed, particularly scandalous in the light of the outcome of both 1948 (the disposession of the Palestinians in 78 per cent of Palestine) and 1967 (the 50 year occupation of the other 22 per cent). This was not a position of ‘left Shachtmanism’, but a capitulation to Zionism by mainstream elements in the Trotskyist movement. The Spartacists actually treated this neutral ‘orthodox’ position as an archetype and something to be emulated, and extended it to Ireland in the 1970s (after calling for a ‘socialist independent Ulster’ (!) earlier in the ‘troubles’). As I said, the interpenetrated peoples position cannot be applied to colonists acting as agents of capitalist-imperialist conquest. It does have validity, however, where there are interpenetrated peoples of a (more or less) co-equal level of development involved in national and/or sectarian conflict. One example of this given (falsely) to back up the Spartacists position on Ireland is Cyprus, where neither the Greek nor Turkish derived populations could be said to be in any sense agents of British imperialism, but whose divisive communal conflict gave a reactionary twist to the movement against British imperialism under Grivas/EOKA, with the programme of unification with Greece vs partition of Cyprus on ethnic lines, both of which were reactionary ‘solutions’ to the national question in Cyprus. This in the context of the reactionary forced population transfers which occurred between Greece and Turkey more widely in the 20th Century, particularly after WWI. Another example on a larger scale is India, where partition was a reactionary solution and had to be opposed, precisely because the peoples were interpenetrated and could not be divided into separate states without massive slaughter and ethnic cleansing, which did indeed happen and was one of the greatest tragedies of the 20th Century. The interpenetrated peoples position thus has positive features, as well as flaws. Its origins lie partially in a capitulation to Zionism, that is true. But in different contexts, those who uphold this can on some questions hold better positions than those who reject it too rigidly. One concrete example of this in the 1990s was Bosnia, where many on the left, such as in the USFI and also Workers Power, in the name of defending the ‘oppressed’ Bosnian Muslims against the Serbs, defined as an oppressor people, capitulated to imperialism, whereas the Sparts and IBT managed to maintain a principled position of opposition to the imperialist bombing of the Bosnian Serb militias in the summer of 1995. Jose Villa broke to the left from Workers Power over their neutrality in this war; though he never actually embraced the Spart generalised position on interpenetrated peoples as applied to imperialist settlers, he did in practice embrace it in the situation of Bosnia, whose patchwork interpenetration of peoples had other origins. On this the Sparts and Spartoids were correct against the more traditional ‘anti-imperialist’ left who ironically because of their own one-sided inflexibility on this capitulated somewhat to imperialism. These things are complex and have to be understood concretely, not abstractly, and every situation analysed in its own specificity. Just a further point on Jose Villa and Bosnia. In 1995 when he was in opposition to the Workers Power leadership over this, they became convinced that he was in some way acting as an IBT ‘agent’ and in an irrational and bureaucratic response actually passed a policy banning their members from talking to IBT members. They were completely wrong about this; Villa never embraced the IBT position on interpenetrated peoples with regard to the Middle East and Ireland. But they did have virtually identical views on Bosnia. This does indicate something about the complexity and multi-sided element to this, and how clarity has eluded the far left.